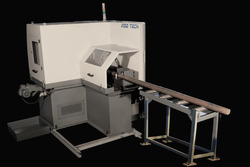 Circular sawing machines with auto loader are used in diverse industry for cutting up bars and tubes. 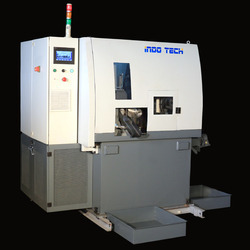 These circular sawing machines are specially designed for high rate of production and more accuracy. Available in semi-automatic, fully automatic and numerically controlled versions, our machines feature simple controls and robust construction. We can offer circular sawing machines in different specifications based on the application based requirements of the clients.